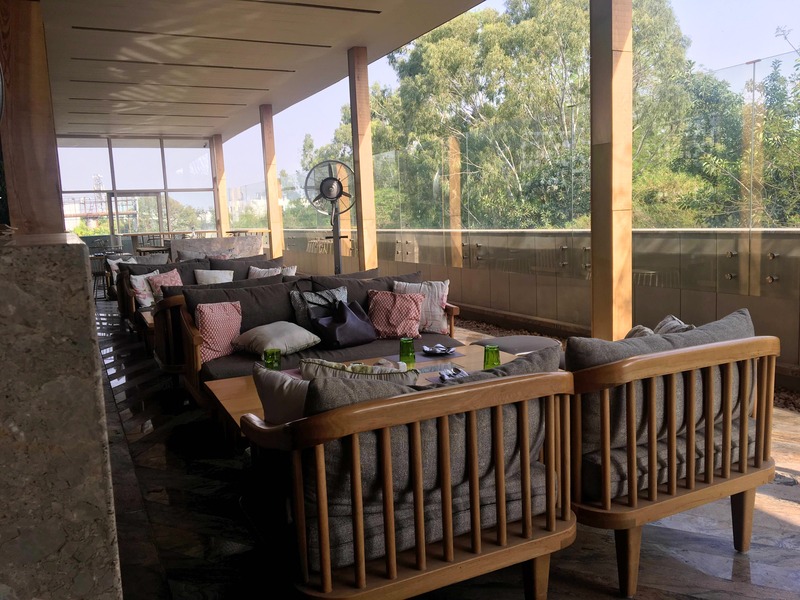 RockSalt is a beautiful rooftop bar and kitchen in the heart of Bangalore. They serve an eclectic mix of dishes inspired by the Indian cuisine and modernized to more contemporary taste by the talented chef Abhijit Saha. The setting of the restaurant is casual yet elegant. An open space essentially, the vertical green walls bring a nice touch to the overall ambience of this place. The seating is nicely spread out and designed keeping in mind groups and families alike. The bar is modern chic and the cocktails they serve fantastic. Try the gin-based margarita with a dash of elderflower. To add to the charm of the absolutely wonderful setting, there's live music too on some days (Check the schedule with the restaurant in advance). They recently launched an 'All day menu' which is a great addition to their off lunch and dinner hours. It includes a whole array of sumptuous appetizers to choose from. We personally loved the 'Rajasthan Murgh Soola Kabab' and would also recommend the'Millet Arbi Shami Kabab'. The 'Chaas' golgappas are a nice twist to the regular ones and so is the 'Baked Kachori Chaat'. Try the 'Amritsari Chhole' with the 'Onion-Cheese Kulcha'cause that's as delicious as it sounds. Or if you're a non-veg at heart, go for the 'Keema Pao Maska Maarke'. Who doesn't want some Desi food so glamorized and with calorie control (that we fail to try on our own 🤭) Finish all this with the epic 'RockSalt Jalebi' which is one indulgence that is worth the extra hours of work out at the gym 😜 Don't Miss it and complain later. Hit this lovely bar and kitchen soon! PS: The regular lunch and dinner menu is great too! Chaat Naashta Chai & Cocktails? A Well Curated Menu For All Things Yum!